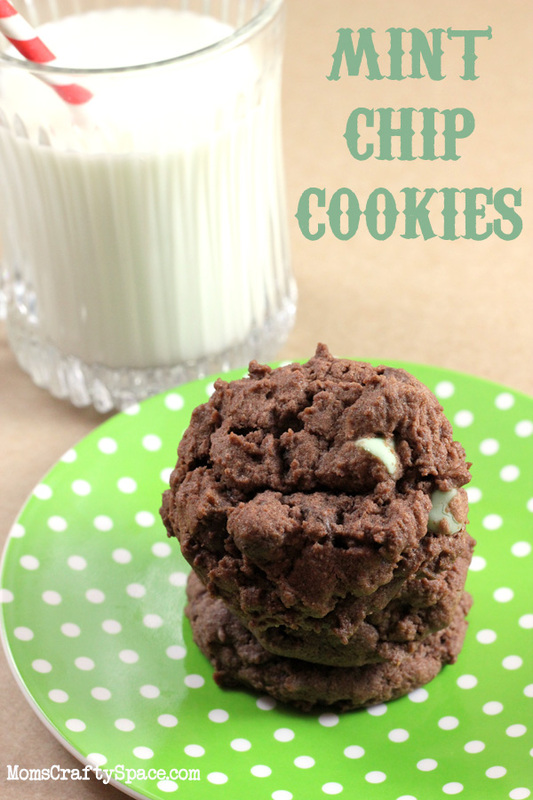 My mom gave me a mixed bag of mint and dark chocolate chips the other day, so the boys and I took our favorite chocolate chip cookie recipe, tweaked it to be a lot more chocolatey, and added the bag of mint chips to it. The results were pretty darn incredible, if I do say so myself. 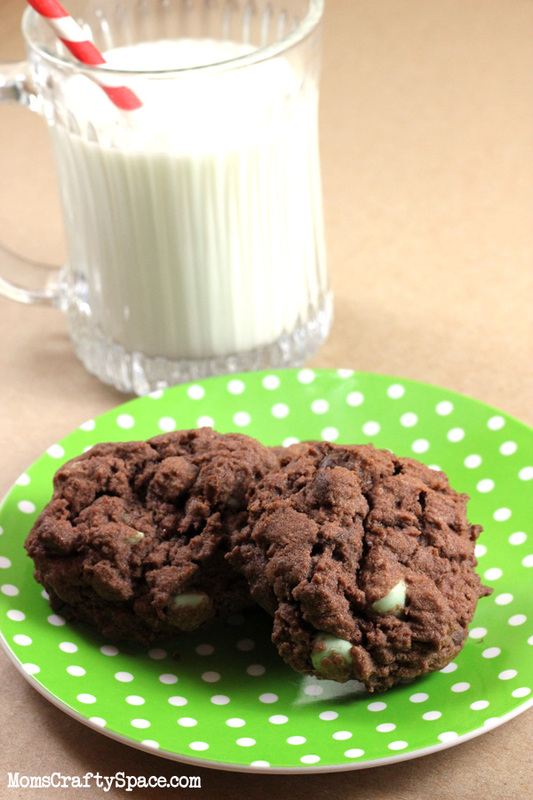 They have just the right touch of mint without being overpowering, and even my six-year-old who isn’t generally a fan of mint ate three of them straight out of the oven! Cream together the butter and sugars until fluffy. Add in the eggs and vanilla extract, and mix well. In a medium bowl, sift together flour, cocoa powder, pudding mix, baking soda and salt. Slowly add the dry ingredients to the wet ingredients, and stir until combined. Gently fold in the chocolate and mint chips. Bake for 10-12 minutes. Let cool on the cookie sheet for five minutes and then transfer to wire racks to cool completely. These look so delish, I love mint!